A drone that we actually want and will use. The DJI Spark has got us very excited within our offices, as parts of the team have been early adopters with the technology. The biggest failing of previous drones has been price and usability. 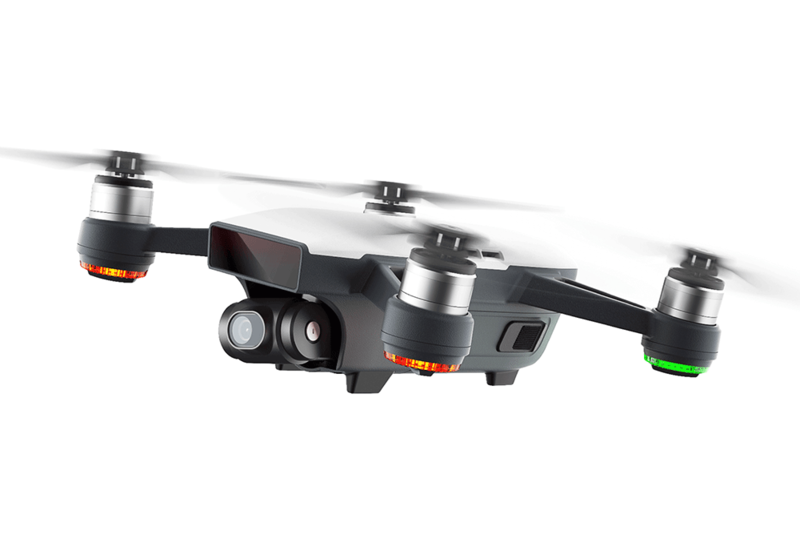 Now the DJI Spark starts from $859 and can be flow without a remote and weighs a mere 300 grams. And it gets better, the Spark has advanced avoidance technology to make sure your drone comes home in one piece. Quick Launch: With FaceAware, Spark lifts off from your hand by recognising your face. It then takes off and hovers in place within seconds of powering on. TapFly: Tap your phone screen and the Spark will fly to the location of exactly where you tapped. For the camera, it outputs some seriously awesome video quality. Although it doesn’t do 4k recording it makes up for it with amazing 1080p videos. The lens has an aperture of f/2.6 and is a 25 mm wide equivalent. The sensor is also of a high quality and is larger in comparison to the sensor found in the iPhone 7 Plus. This is exceptionally important considering its size. The bigger the sensor the more detail you will capture. With all these amazing features including size, weight, auto flying, and image quality, we’re declaring this the hottest piece of tech for 2017. We are very excited to see what this beauty will capture all over the world, along with our customers!!! The post DJI Spark Initial Impressions appeared first on Highly Tuned Athletes.